This state of the art facility is southern California’s ultimate tennis destination. Indian Wells is the second largest tennis stadium in the world and a full service tennis club. The facilities include 24 concrete courts, 18 lighted courts, player and champion locker rooms, fitness area, and a pro shop. The stadium has a capacity of 16,100, and there are 7 paved acres and 2 landscaped acres of exhibition space. 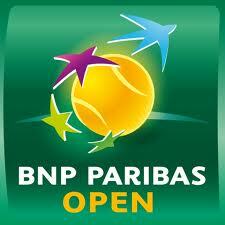 A two-week combined ATP World Tour Masters 1000 and WTA Premier event. Featuring the top men and women professional tennis players, the BNP Paribas Open is the most highly attended tennis tournament in the world outside of the four Grand Slams. Top prize money for the event is $4,500,000.